Christine von der Linn is a Senior Specialist in the Book Department, focusing on Art, Architecture, Fine Press and Illustrated Books. As the head of Illustration Art at Swann Galleries, she has nurtured the department from dedicated annual sales beginning in 2013 to popular biannual events. In September 2016 she moderated a panel discussion with cartoon greats Ed Sorel and Lee Lorenz called Drawing Sides: A Timely Conversation on Political Cartoons. 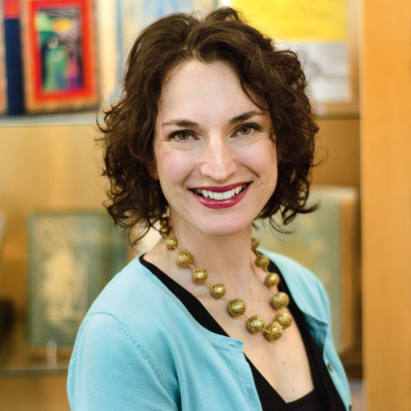 In 2018, she led a tour and discussion of the December Illustration Art sale and the market at large for the Appraiser's Association of America. Christine holds certificates in German language and culture from Collegium Palatinum in Heidelberg, Germany, and in rare book cataloguing from the University of Virginia School of Library Science. She is a member of ArtTable, the leadership organization for women in the visual arts, where she recently lent her expertise to their annual Career Development Roundtable for young professionals. A supporter of the local book community, she lends her time to benefits and charity auctions for libraries in New Jersey. Christine has also contributed her expertise to numerous print and social media outlets where she especially enjoys discussing her pet loves of twentieth century graphic design, Edward Gorey and Rockwell Kent. When she is not involved in book- and art-related activities, she uses her degree in cooking and nutrition, serving as Vice President of the Board of her local Farmers Market and to lecture on health-supportive cooking and food sustainability. Christine graduated from Bard College, where she studied architecture, art history and literature. She was an archivist of the Livingston family library at Clermont State Historic Site in Columbia County, and managed a bookstore in Kingston, NY, before moving to New York City in 1993 to join Swann.